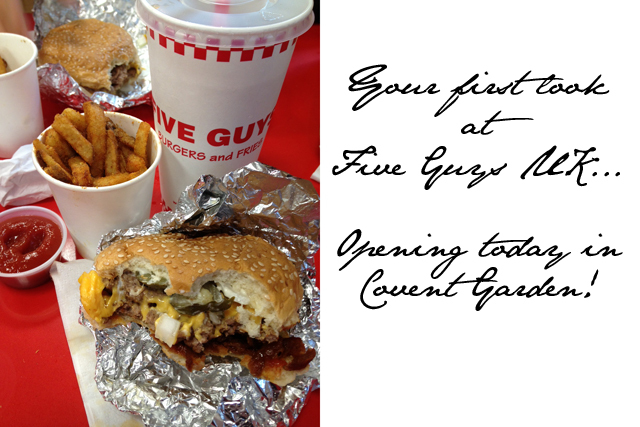 First Look: Five Guys UK Burgers... opens today! 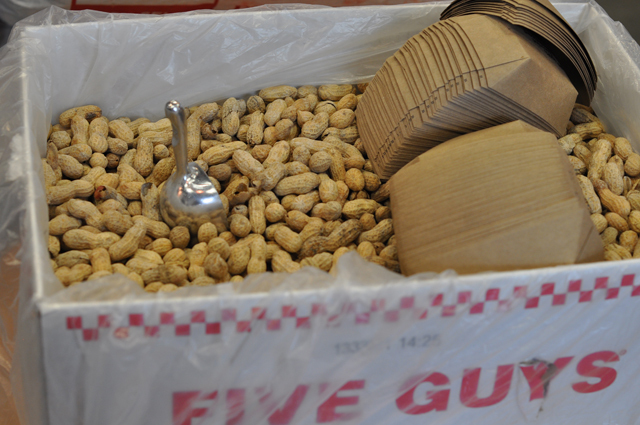 Earlier this week we had the amazing opportunity to check out Five Guys UK. 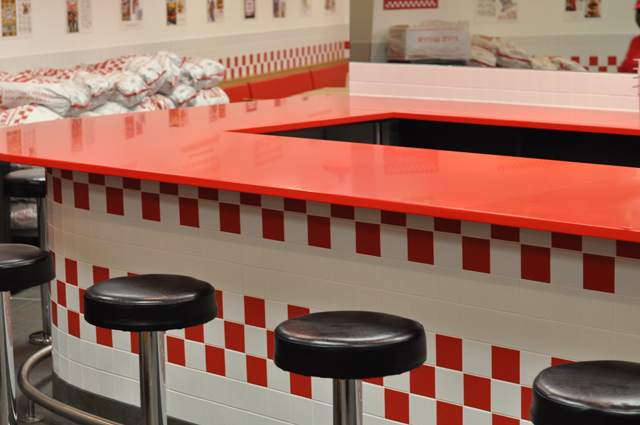 This is the first UK chain of the legendary American burger joint and I can guarantee that it won't be the last. People, you've never had burgers like this before. First of all, it's not your usual sit and wait establishment. 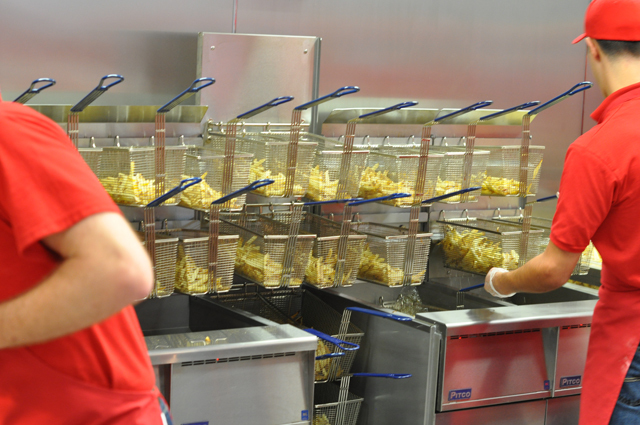 You order at the counter as if you were preparing for fast food and then what arrives on the flipside is anything but. 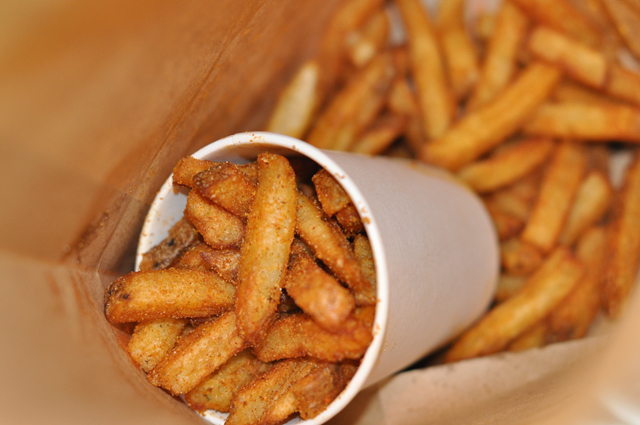 A somewhat greasy brown paper bag is produced by a red t-shirt wearing Five Guys cooker and you are left to your own devices on where to sit in the restaurant that feels like a mix of old school American Diner and a modern eatery. 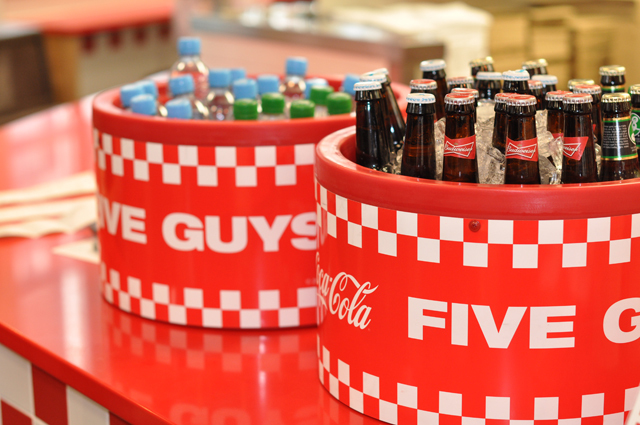 For those of you looking for beverage kicks, you may meet your match at Five Guys UK. This is the first establishment in the UK to have a custom Coca-Cola Fountain. You can go for straight Coke or you can mix and match with flavours that range from Raspberry to Vanilla. This will be a big hit for Soda Suiciders, as we used to call the daredevils at home that would mix things like Sprite and Dr. Pepper on a dare. 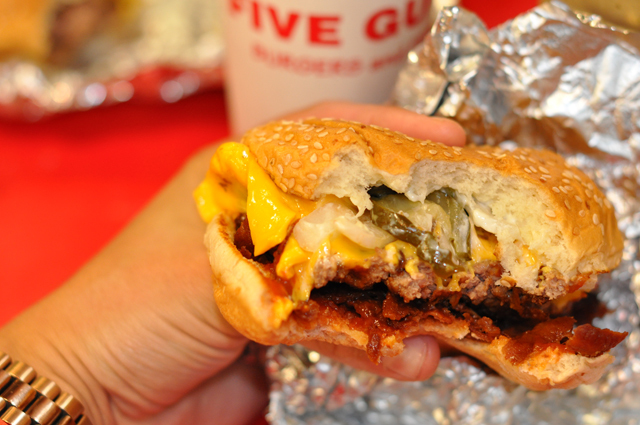 But back to the real reason you're sitting down at Five Guys UK...the burger. 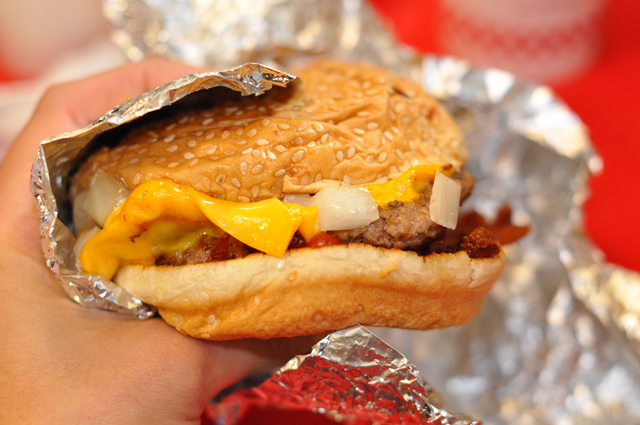 Never have I tasted such goodness wrapped in a simple silver paper. 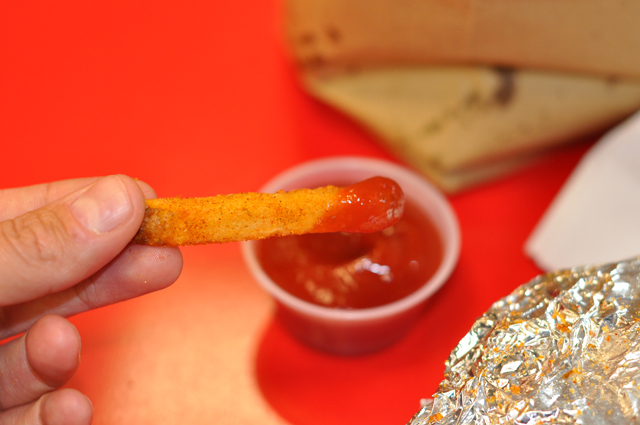 Whether you go big or small, you won't go home hungry. 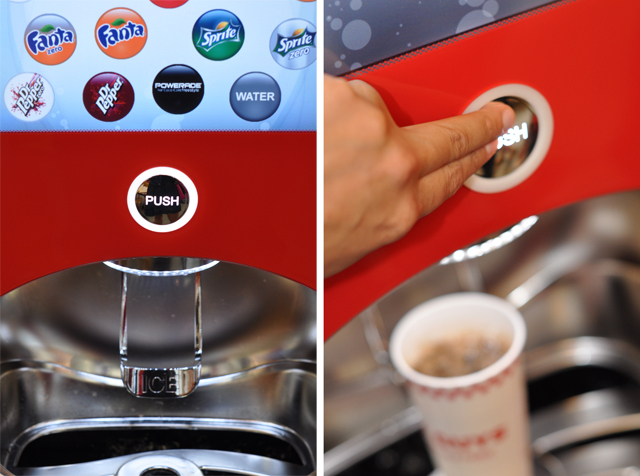 And just like the soda machine, this burger of yours is completely customizable. You choose everything from double patty to crispy bacon with ketchup, mayo, grilled onions, mustard, tomato and more, much more. 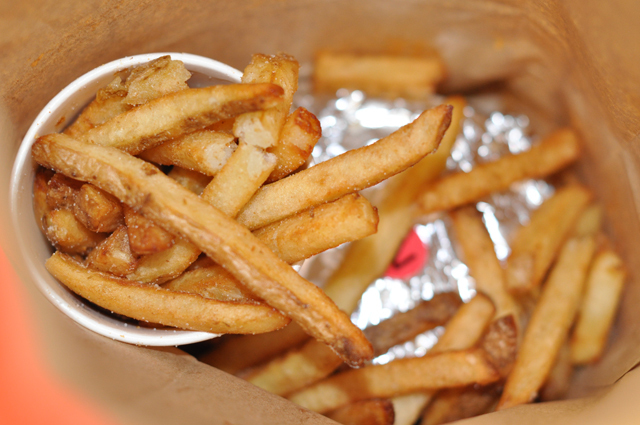 I'm guessing you could spend 365 days a year eating Five Guys UK and still come out with a different combination every day.You might also need a different pair of pants by the end of it. This is definitely an indulgence but it's one of the most rewarding degree. Don't deny yourself. Indulge!